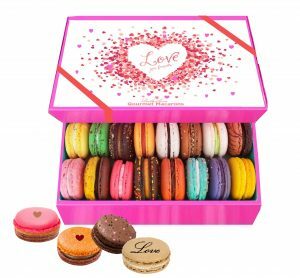 Please your love ones with our unforgettable Valentine’s gift box. 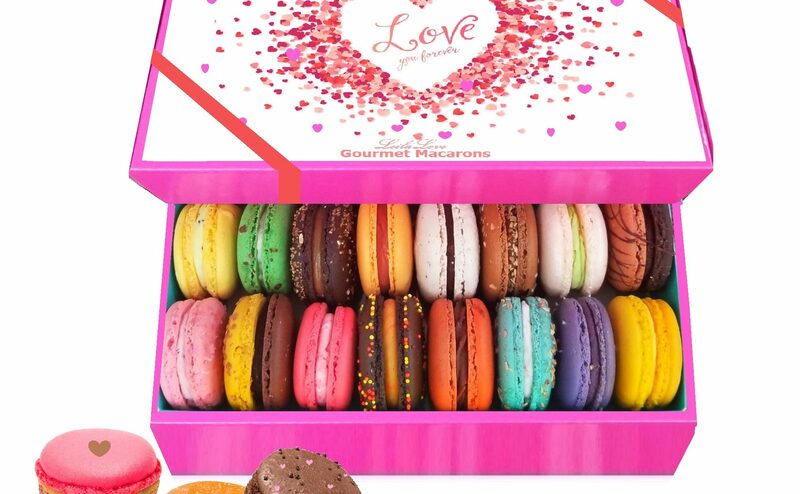 This Macaron collection contains 25 Exclusive flavors, designed for woman! mild, mellow fruity flavors and rich Swiss chocolates. hand designed decorated Macarons are our specialty for this box. The gift box is so pretty, steady and collectible for other usage. 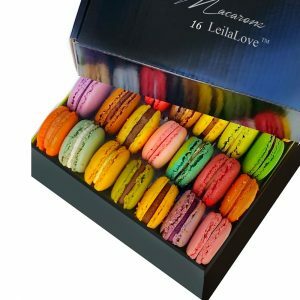 This box contains 25 French Macarons hand crafted by the chef. 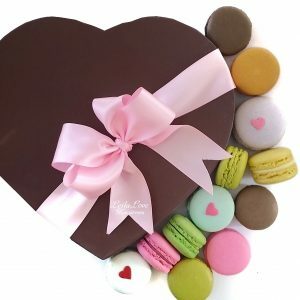 Please your love ones with this unforgettable Valentine’s gift box. 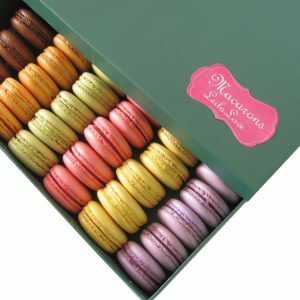 This Macaron collection contains 25 Exclusive flavors, designed for woman! mild, mellow fruity flavors and rich Swiss chocolates. hand designed decorated Macarons are our specialty for this box. 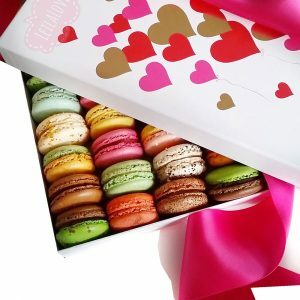 Each Macaron is individually wrapped and carefully packaged in a gift box.